The Ritz Carlton Club Condos are all that you might expect from a company of this stature. The property is situated right on the white sand beaches of the Caribbean with all manner of equipment to make a day at the beach memorable and exciting. Water sports abound with snorkeling, parasailing, jet skiing, and many other options for active sports fans. If you want to work on your tan, there are cushioned chaises available and for a more traditional island snooze, stretch out on one of the rope hammocks and let the sea breezes rock you to sleep. You can enjoy the sunset from your covered patio. Turn up the stereo and break out a bottle of your favorite wine for a perfect end to the day. Indulge yourself at the Ritz St. Thomas. 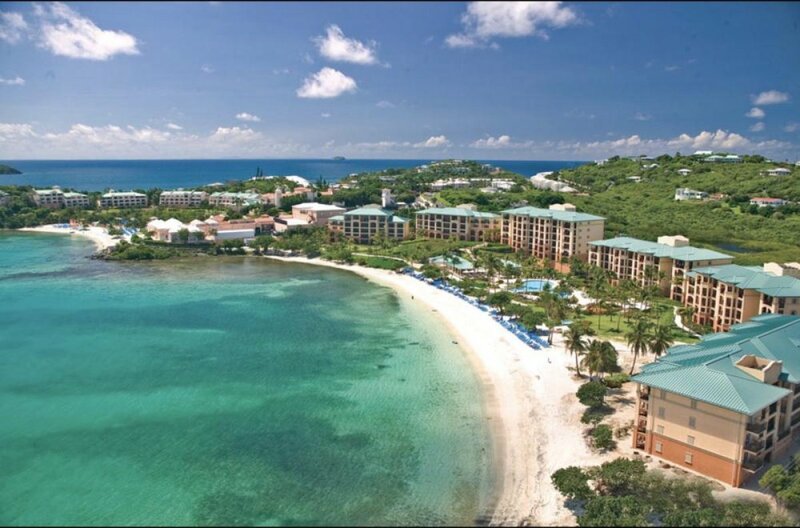 It is consistently voted the #1 property among resorts in St. Thomas. The St. Thomas Ritz is the gold standard for any St. Thomas grand resort and will exceed every vacation expectation. The best St. Thomas vacation homes on the island can be found at this resort. Why wonder about the quality of a Caribbean vacation home, when you can have the best of both worlds? The Ritz St. Thomas meets the Ritz Carlton standards of service and quality while guests can enjoy the benefits of a St. Thomas vacation home rental with increased space and amenities. The Ritz Carlton Residences are the best! They offer large rooms and an eat-in kitchen. The staff is amazing and the weather is always perfect. We have been to the Ritz Residences in St. Thomas 9 times, and it is always our favorite vacation. Our experience with WhereToStay was excellent. Shawna is very attentive to detail. The Ritz Carlton took our opening day disaster and made our trip fantastic. While traveling from the airport in our rental car we were struck by a car coming around sharp turn and into our lane. After several hours waiting for police and tow truck we were able to flag down passing taxi to take us and our luggage to the resort. The cab driver must have said something to staff about our incident because after we had checked in they sent us a bottle of wine and some chocolates to help cheer us up. From the moment we arrived at the resort our vacation was a dream. The management and staff throughout the resort always greeted us with a smile and would ask if we needed anything. Nadine (concierge ) called to check on us and to see if we had received another rental car or needed one. We had always heard of Ritz Carlton’s legendary service and we received it. My wife and daughter became instant Ritz Carlton converts and have decided that is the only place we will stay if possible in the future. I was impressed with the culture were everyone seemed committed to insuring that your trip was perfect and always with a smile. By the way the condo we were in was immaculate and spacious. I think they had traded the unit that we were suppose to have with this one. Ritz Carlton saved our vacation. Shawna was very helpful and the trip ran as planned other than the car accident the first day. We never did hear from the concierge that was assigned to us even after I had called and asked for him. Nadine, who I assumed was another concierge that adopted us after we reached the hotel, was perfect and took good care of us. I would certainly use Wheretostay again in the future.